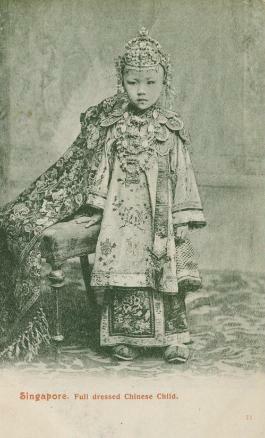 This postally-unused postcard shows a young Straits Chinese or nonya girl dressed for her role in a traditional Straits Chinese wedding. sanggul kemantain and dada kemantain. The postcard is in good condition with no tears and relatively crisp edges.